Theatre at George Fox University incorporates more than just acting – it is viewed as a form of communication with significant intellectual, social, moral and spiritual values for both participant and audience. We offer a bachelor of arts degree in theatre (theater) with concentrations in acting/directing and design/technology. Each concentration features a balance between theory and performance and requires students to apply their knowledge through laboratory classes in conjunction with the university theatre’s main-stage season. Our Christian theatre college prepares students to enter the competitive field of theatre as actors, directors, designers, technicians and managers. Ultimately, our goal is to offer a program that prepares Christian artists to make meaningful contributions to our world. Request more information about the theatre major at George Fox University or schedule a visit to begin your education at Oregon's Christian university, ranked as one of the top Christian colleges in the nation by Forbes. 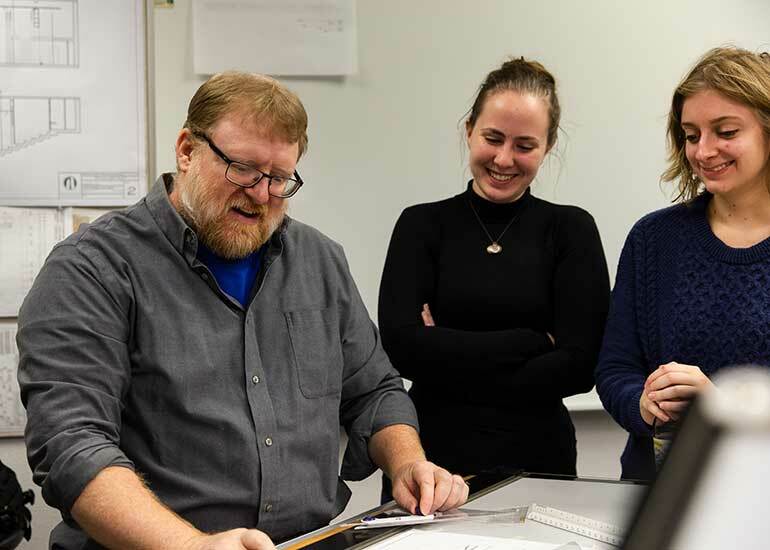 Recent George Fox theatre majors are employed as actors, designers, technicians, theatre management professionals and educators. Our graduates leave George Fox as well-rounded theatre artists ready to make an impact on their communities. Some continue onto professional careers in the entertainment industry, while others use their creative talents to impact businesses, schools and churches. Regardless of where God directs their paths, our theatre majors remain servant storytellers for life. Core Company Ensemble, Orchard Project, N.Y.
National Theatre Institute, Waterford, Conn.
MFA Playwrights Festival, Kennedy Center, Washington, D.C.
California Musical Theatre, Sacramento, Calif.
Artists Repertory Theatre, Portland, Ore.
Third Rail Repertory Theatre, Portland, Ore. Miracle Theatre Company, Portland, Ore.
Northwest Children’s Theatre, Portland, Ore.
Newberg High School, Newberg, Ore. Grants Pass High School, Grants Pass, Ore.
C.S. Lewis Academy, Newberg, Ore. 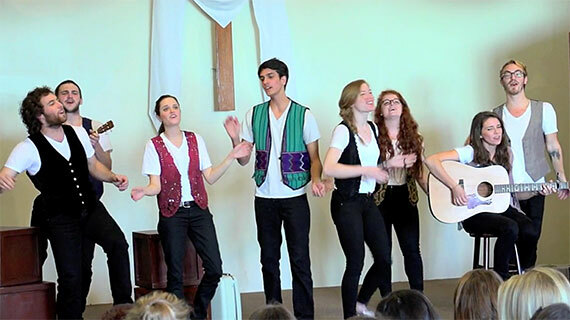 Become a servant storyteller dedicated to integrating faith and artistic excellence in order to make an impact in our local and global communities. 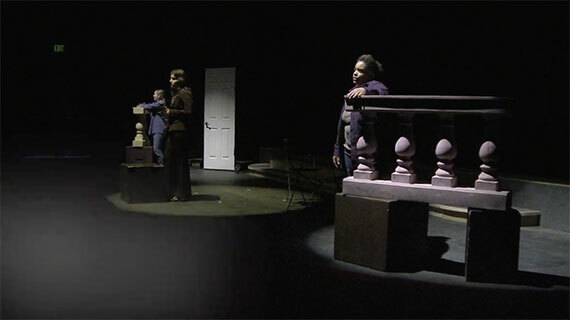 Learn from theatre professors who have been nationally recognized by the Kennedy Center. Learn from working professionals who are currently engaged as directing, acting, design and theatre management professionals on the West Coast. Experience the academic rigor, creative expertise, and emotional and spiritual stamina required to be a professional theatre artist.